Use your web browser's FIND feature to search for a particular name. see when the most recent update has taken place. to state hospitals and sanatoriums. Use your web browser's FIND feature to search for a particular book or resource. Books on the regular shelves on the archives floor of the PCGS Library. They can be browsed through by visitors anytime the library is open. 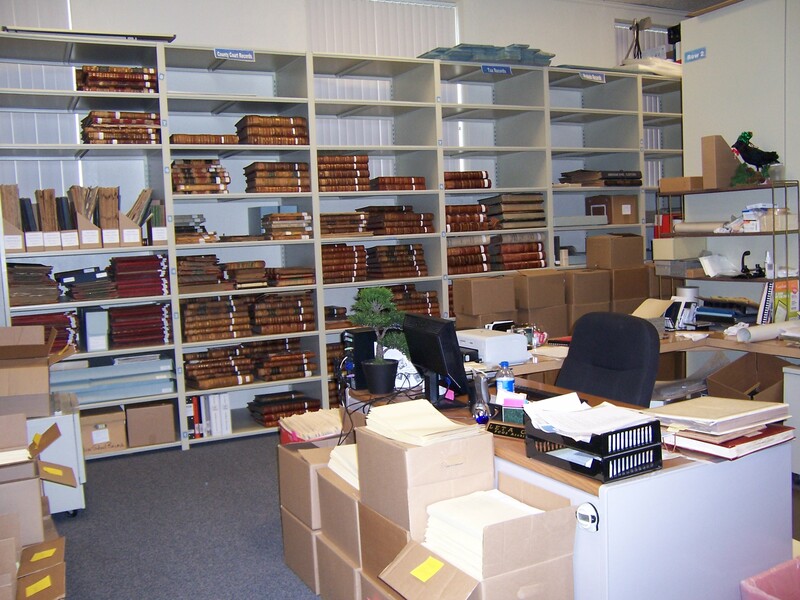 At this time the majority of records in our archives are from Polk County, though there are some from other counties. Most of these records cannot be photocopied, so research sheets for abstracting are available upon request. 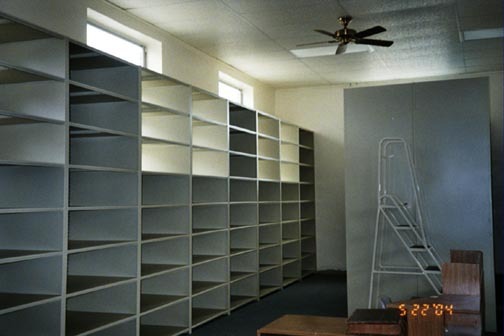 New archival shelving in southeast corner of top floorbefore it was filled up with wonderful records and now! See below for links to particular photo albums.